FAVOR OF GOD: How can we find favor with the Lord? What does the Bible say? How can a believer obtain the favor of God? Okay, so what does the Bible say about the favor of God and obtaining it? Whoever finds wisdom finds favor with the LORD (Proverbs 8:35). Who the LORD finds righteous, he covers them with His favor (Psalm 5:12). Psalm 30:5 says that God’s anger is for a moment, but His favor is for life. The humble will find favor with the Lord (Proverbs 3:33-35). 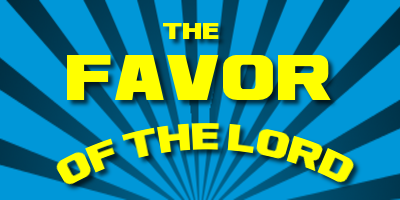 MORE: Favor of God: How to Get the Favor of the Lord? So basically, the Lord favors the humble, the contrite, the righteous and those who seek His wisdom. And what is the beginning of wisdom? The Lord delights in those who find favor with Him–and the Lord will uphold those who find favor with Him. Having the favor of God should be a highly desired priority for the end times. Obtaining the favor of God ought to be part of every believer’s plan of end times preparation. Actually, obtaining the favor of God ought to be part of the believer’s everyday living. Does the reader have the favor of God? What Does “Abundant Life” Actually Mean? Affirmation of God: I fear the LORD.